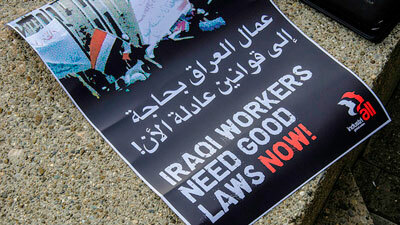 IndustriALL Global Union organizing workers in Iraq after the 2003 U.S. invasion. Source: www.strongerunions.org. Since U.S. troops were pulled out in 2011, news coverage of Iraq has all but disappeared from the mainstream media and, consequently, from the minds of most high school students, including the ones I teach at Madison High School in northeast Portland, Oregon. Of course, like every war, there is a battle over what version of that history is passed on. Modern World History presents the Iraq invasion as reasonable and inevitable, repeats the Bush administration’s lies about weapons of mass destruction and 9/11, and ignores the antiwar movement and all Iraqi voices. The section’s only “critical writing” activity asks students to write a victory speech for then-President George W. Bush. One essential flaw in Holt McDougal’s description of the Iraq war—and a familiar theme in the portrayal of any war—is that it is depicted as a purely military affair. 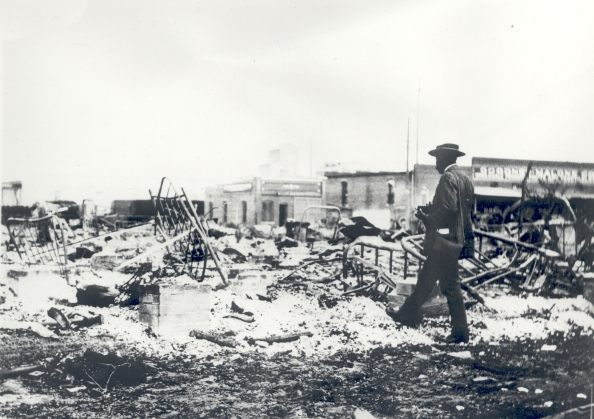 When we teach about wars, even from a critical standpoint, too often we focus only on the military aspects. But whether it’s Vietnam, Afghanistan, or Iraq, there is always an economic dimension. Inspired by Naomi Klein’s groundbreaking article for Harper’s Magazine, “Baghdad Year Zero,” I wrote a role play that examines the economic dimensions of the Iraq war. This lesson was published in the Winter 2013/2014 issue of Rethinking Schools magazine. 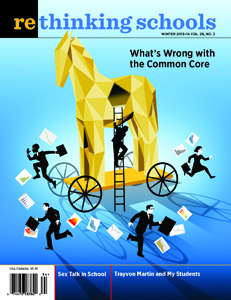 For other lessons and articles in this issue, visit www.rethinkingschools.org.